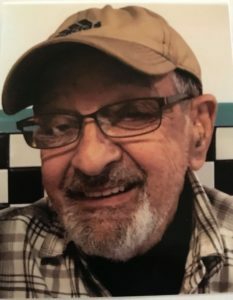 Arthur J. Ezzo Sr., 82; of Fulton passed away at St. Joseph’s Hospital, Syracuse after a sudden attack. He was born in Fulton, NY to the late John and Rose (Conca) Ezzo. He remained a life resident of Fulton. Arthur was a United States Veteran having served in the Army from 1959-1961. He was past employed with P&C in Fulton and Oswego for 25 years, and later retired from Miller Brewery, Fulton after 18 years of service. Arthur’s passion was to spend time with his family. He was pre-deceased by his brother James Ezzo and sister Sylvia Hartle. Arthur is survived by his wife of 61 years Diane Ezzo of Fulton; their children: Arthur (Micheline) Ezzo Jr. of Fulton, Robert Ezzo of Fulton, his brother John (Joan) Ezzo of Fulton, and his sisterAmelia (Rick) Lewis of FL, several nieces and nephews. Funeral Services and Burial will be held privately. There will be no calling hours. The Sugar Funeral Home, Inc., 224 W. 2nd St. S., Fulton has care of the arrangements. So sorry for your loss. I worked with Art at the brewery for many years and spent many break times playing Pitch with him. He was a good guy , and I’m glad I got to know him.